As the perfect way to open up your house onto the terrace in the Spring and Summer months, bi-fold doors provide a modern, stylish and truly unique exterior door solution. Designed to be opened to the full aperture of the door frame on either side, bi-fold doors are perfect for letting the maximum amount of air and light into your room, whether you want to add more space or open up the house when you’re entertaining. Because these particular range of rear exterior doors have been designed on a hinged system that runs across on a single track, they are also extremely safe and secure and can be manufactured to include toughened glass and a range of different glazing finishes. 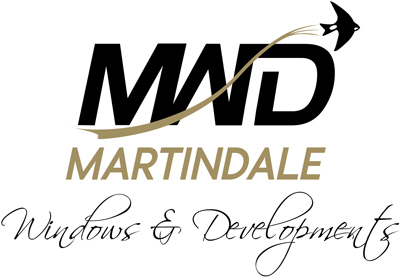 At Martindale we’ve installed a wide variety of bi-fold doors to homes across Northampton, Milton Keynes and beyond, so you can be rest-assured of the quality of doors that will be fitted in your property.